Signups next Friday! Anyone in? 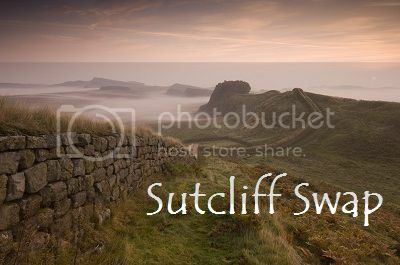 I am in a Sutcliff mood, for I have finally finished writing Death in Noviomagus Reginorum, (it's for smallfandombang, so posting in couple weeks or so). I struggled with it for ages, but at the end it was lots of fun again. Although the fun was definitely not the whodunnit aspect. I don't think I am well adapted to writing whodunnits, although I love reading them. I sit there with my mouth open looking at the crime, going 'Well! I wonder who did THAT???' Which is not ideal if your detective is supposed to be actually *solving* the crime :-D.
I was in the same situation... oh, 2010, I think, having not read it since I was about 12, I think, when I randomly picked up a copy at a book fair, re-read, thought, blimey, I'd forgotten how good this was.... then the Eagle film came out the next year, and before I knew it I was rereading All The Sutcliff, and my goodness, she can WRITE. Which is to say, I heartily recommend, I hope it has the same impact for you! I've ordered a copy from Ebay for £2!